Meeting minutes from September 19th, 2018. 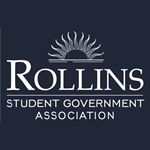 Rollins College Student Government Association, "Meeting Minutes from September 19th, 2018" (2018). SGA Meeting Minutes. 117.